Tourism Minister Rania Al-Mashat announced in a press release on Friday that Egypt, Cyprus and Greece have agreed to study the possibility to develop a joint tourism cruise between the three countries in an effort to increase touristic exchange between them. The announcement came after a tripartite meeting that took place between the tourism ministers of the three countries during a stock market exchange conference in Berlin. Mashat hosted Greek Tourism Minister Elaina Contora and Cypriot Tourism Minister Yorgous La Contripips as well as the Egyptian, Cypriot and Greek ambassadors to Germany. He announced that the three ministers agreed to conduct a study to assess the implementation of the first-ever cruise linking the three countries. He added that a team will be formed to determine the routes, programs and ports that the cruise ships will use. 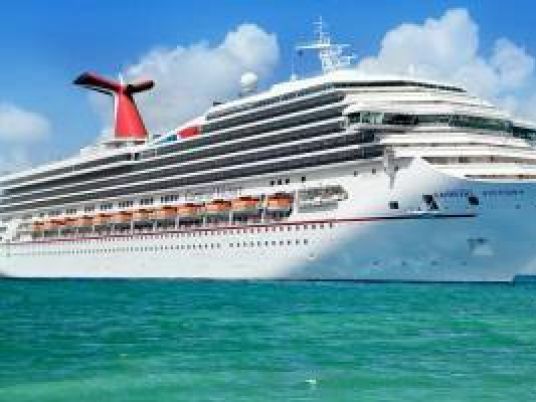 The minister also said that an agreement was reached to conduct several joint campaigns for the cruise, highlighting each country’s assets, adding that consultancy meetings will also be held to assist each other to make the best out of the new opportunity. The meeting also produced a suggestion for a possible “Yacht program” that would help boost the three countries’ tourism, especially during summer. The parties also discussed past challenges in the countries’ tourism sectors and how they have overcome them. Mashat invited the Greek and Cypriot ministers to a tripartite meeting in Egypt after the technical committee is done with the outline for the joint cruise between the three countries. The meeting will aim to discuss the results of the work by the technical committee and initiate the launch of the new tourism cruise initiative in cooperation with renowned international cruise companies. Egyptian-Cypriot-Greek trilateral relations have strengthened in recent time. Earlier this week, Cyprus and Egypt agreed to build a 1,707-kilometre sub-sea power cable that will link the power grids of the two countries to that of Greece. Cypriot President Nicos Anastasiades, Egyptian President Abdel Fattah al-Sisi and Greek Prime Minister Alexis Tsipras said in a joint declaration four months ago that they are committed to enhancing cooperation in the area of energy and welcomed the so-called EuroAfrica Interconnector project. In 2017, the three countries also agreed on conducting joint military exercises aiming to jointly combat terrorism. This also comes as part of efforts by Egypt in the past years to boost its ailing tourism sector, which has been negatively affected by political unrest in the country since a 2011 uprising toppled former President and long-time autocrat Hosni Mubarak.